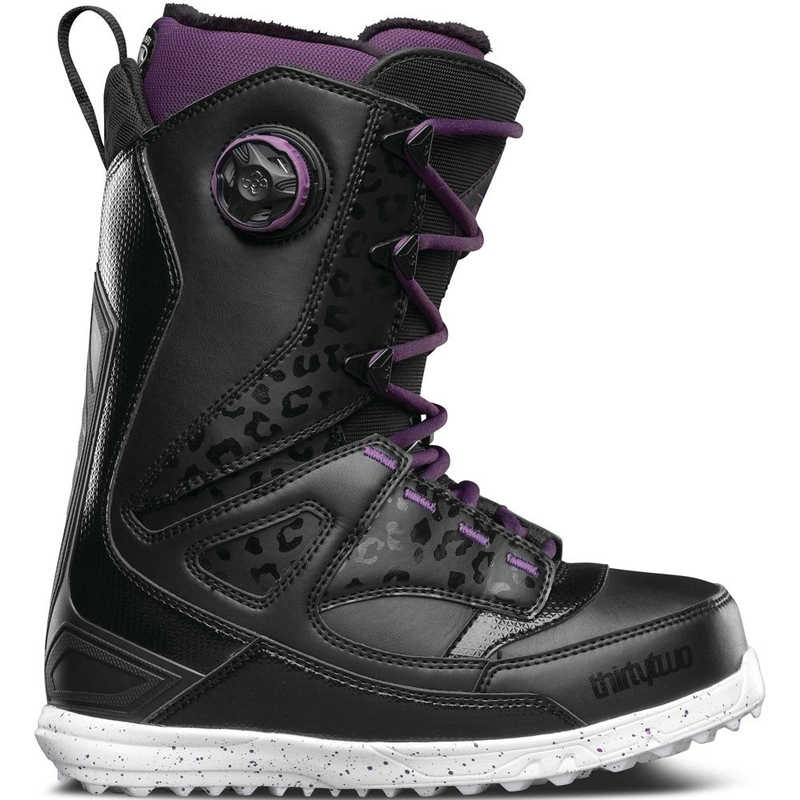 The Burton Ritual LTD features an Ultraweave Shell Fabric that makes it one of the most comfortable boots in the line. Combining top-tier technology for a lighter, warmer, more cushioned experience. This woven engineered construction creates an aesthetic with lasting and powerful support. Reducing seams, waste, and weight by virtue of a super efficient production process, the rugged and water resistant structure retains its original flex longer while looking like a blast from the technical future. Exclusive to the SLX, Almighty, and Ritual LTD boot models. Strong and low profile, Speed Zone™ Lacing features lightning fast lacing control while allowing you to customize the fit of the upper and lower zone in seconds. More power means more rebound, wrap and response with less lacing effort. New England Rope laces add a virtually indestructible character worthy of our Lifetime Warranty. Enjoy a more harmonious connection with Burton’s True Fit™ women’s boards, boots, and bindings. 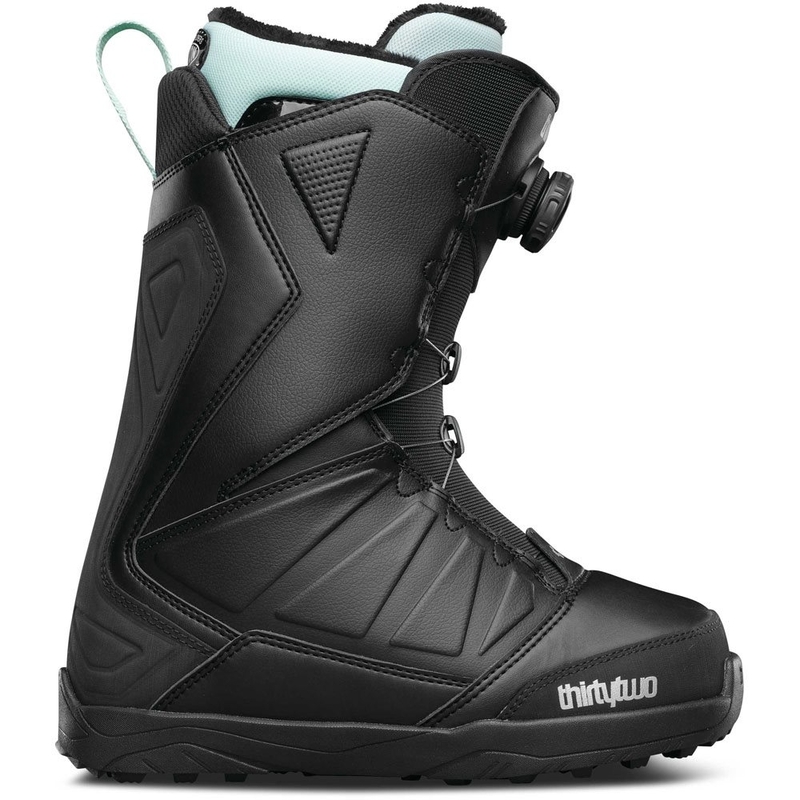 True Fit means that every element—from boot liners to shell tongues, baseplate to strap designs, board shapes to flex profiles—has been designed and engineered for the way women ride. Because when it fits right, it rides better. Snugging up the fit between boot and hi back, our rubber print backstays also shave weight and enhance material to material grip. The result of this printed rubber application is more direct energy transfer from boot to binding to board for reduced rider fatigue. Get an instantly broken in feel right out of the box. Total Comfort’s industry exclusive construction eliminates the break in period for a fit that feels just as good from day 1 to 100. This low profile and lightweight underfoot technology reflects heat back to the feet, improving both warmth and comfort when faced with cold conditions. 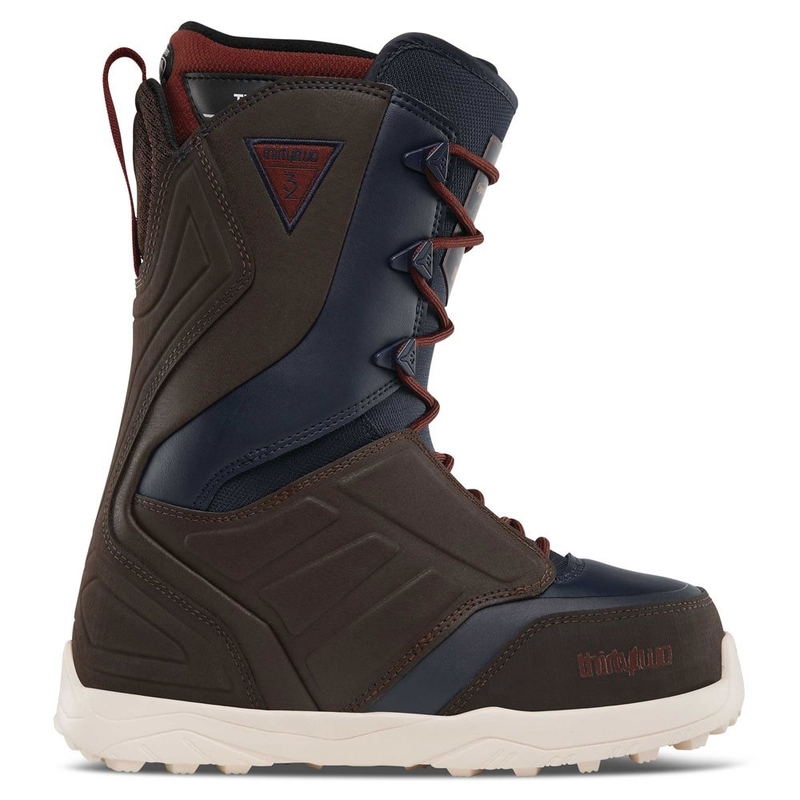 All Burton boot tongues feature an internal gusset construction to completely seal the lower zone of the boot, keeping feet warm and dry. 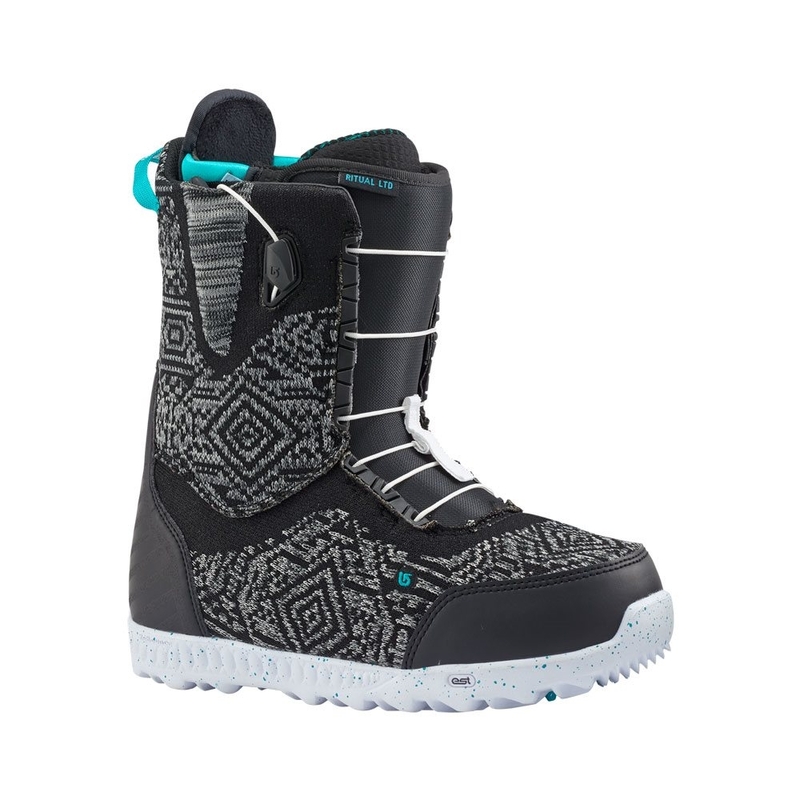 This Burton exclusive brings cushioning closer to your foot than ever before by placing it within the shell of the boot for an added layer of impact protection that sits directly below your foot. Added warmth and consistent performance in cold temperatures is achieved by wrapping it in a heat reflective material that keeps the cushioning soft and effective. 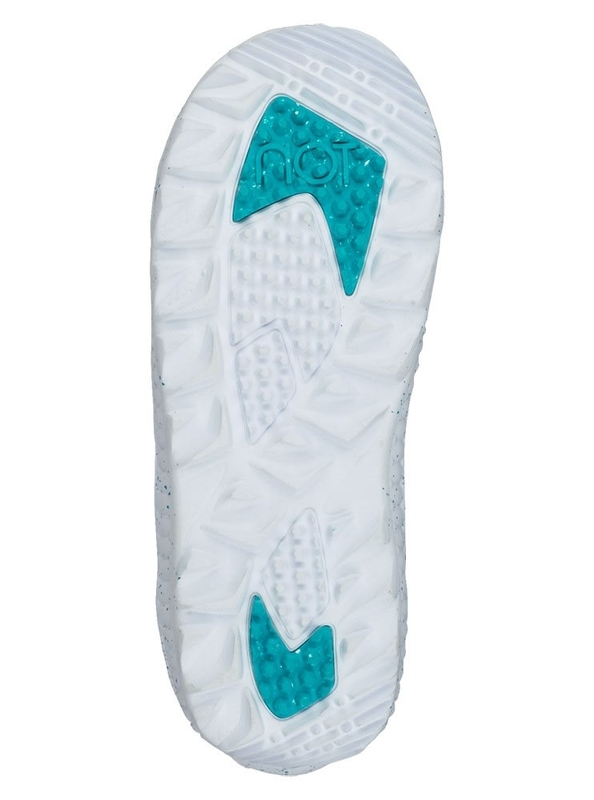 In addition to ReBounce, which wraps the cushioning in heat reflective foil to keep it cushy and effective in cold weather, the DynoBITE outsole features strategically placed rubber patches for extra traction and durability at the forefoot and heel. Like every Burton Dyno outsole, DynoBITE provides lightweight, durable cushioning that’s formulated specifically for snowboarding. 10 15% recycled rubber content depending on model treads lighter on the planet, too.